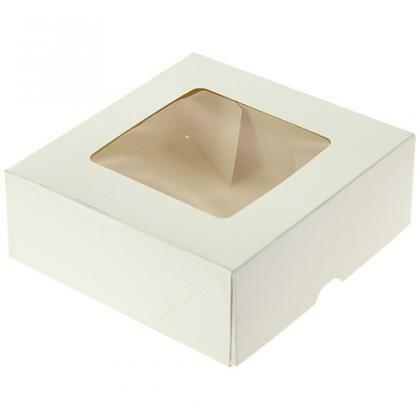 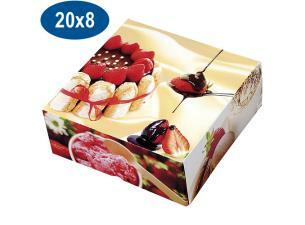 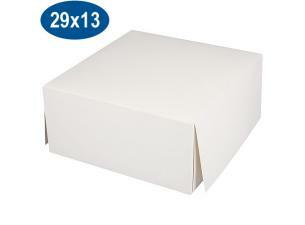 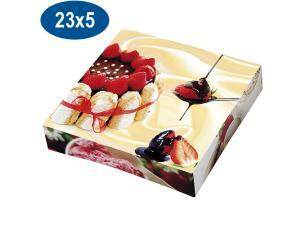 Paperboard pastry transport boxes with a viewing window, 10x10x5 cm. This practical box is indispensable to bakers to best protect their cakes, tarts, or petits fours. 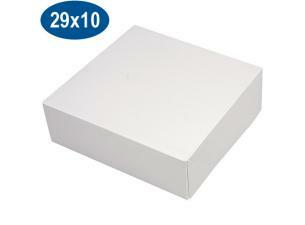 This sturdy and customisable box has a built-in lid. Paperboard pastry transport boxes with a viewing window, 10x10x5 cm. 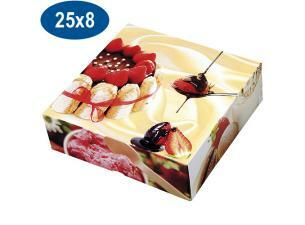 This practical box is indispensable to bakers to best protect their cakes, tarts, or petits fours. 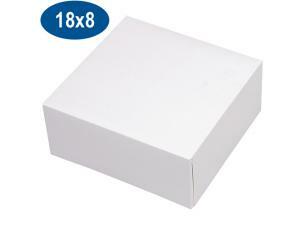 This sturdy and customisable box has a built-in lid.